D-Link, one of the world’s biggest suppliers of networking products, has announced the availability of the new Omna 180 Cam HD (DSH-C310) in Apple.com. 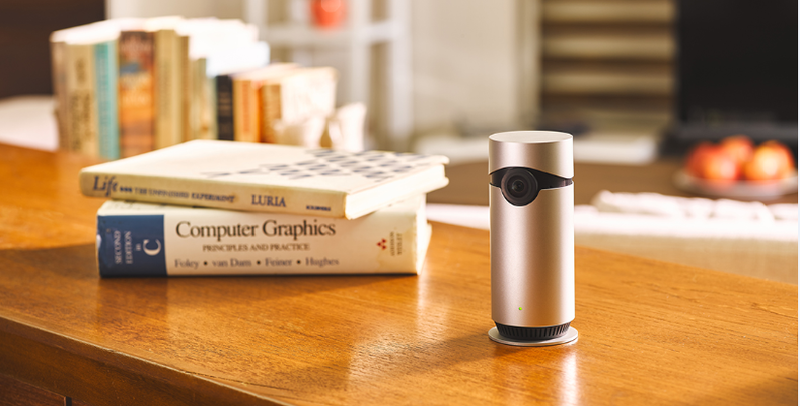 The first in D-Link’s Omna family of HomeKit enabled devices, the Omna 180 Cam HD provides an easy way for users to monitor their home for extra peace of mind. Omna’s HomeKit integration allows users to be “always home” and includes advanced security features with end-to-end encryption and authentication between the camera and an iPhone or iPad. When activity is detected, users will receive a rich notification on their lock screen, delivered via the Apple Home app, showing a live feed from the camera. Users can even access their Omna remotely to see what’s happening in their home in real time. Omna’s HomeKit integration allows users to be “always home.” Seeing everything through your iOS device offers extra peace of mind – keeping an eye on your baby in the nursery, checking on an elderly relative, watching your dog in the living room, or checking on your home while you are away. Local Recording – Record motion detection triggered video clips directly to a microSD2 card up to 128 GB, with remote playback capabilities. Offers pre-event snapshot and recording, with more flexibility on recording video locally to the camera without impacting network or Internet bandwidth. All with no recurring monthly fees. The DSH-C310 Omna 180 Cam HD is currently available at apple.com.sg at S$319. The product will be available in the Philippines soon.